Cinema exhibition chain PVR Cinemas is piloting the Delhi Edition of MAMI. The opening of the festival was done by Anupama Chopra along with Zoya Akhtar, Anurag Kashyap and Vishal Bhardwaj. Mami opens its Delhi chapter. MAMI Festival Director Anupama Chopra on Saturday launched MAMI Year Round Programme here in presence of filmmakers and board members Zoya Akhtar, Anurag Kashyap and Vishal Bhardwaj. Cinema exhibition chain PVR Cinemas is piloting the Delhi Edition of MAMI (Mumbai Academy of Moving Image), read a statement to IANS. The coming of the fest to Delhi was marked by the screening of Wes Anderson’s Isle of Dogs at PVR ECX, Chanakya. It will be followed by Ari Aster’s Hereditary on Sunday. 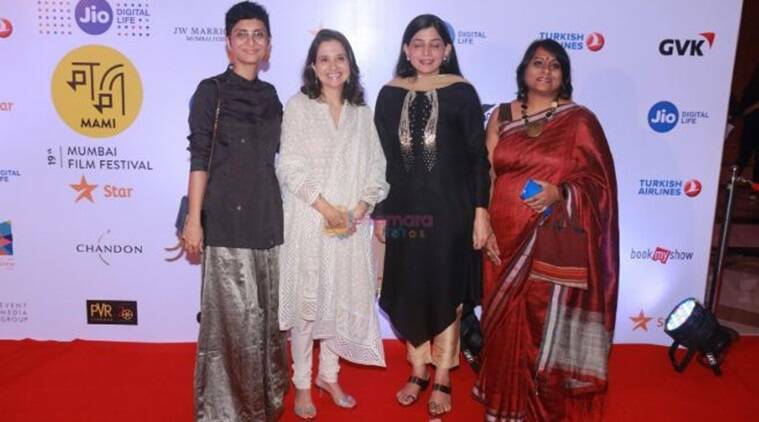 “I am thrilled that in the 20th year of MAMI, we are stepping out of Mumbai. We hope we can help foster a great cinema culture in Delhi. Thank you PVR for all your support,” Anupama said. The launch was officially opened by Ajay Bijli, Managing Director, PVR, and Sanjeev Bijli, Joint Managing Director, PVR; along with Akhtar, Kashyap, Bhardwaj, Anupama and festival’s creative director Smriti Kiran. “Year Round Programme represents one of the first opportunities for audiences in Delhi to see the very best from across the globe,” Ajay Bijli said. The MAMI Year Round Programme launched in 2016 in Mumbai, started with the belief that it is not enough to have a week-long film festival. The Academy now hosts weekly screenings, workshops and conversation sessions for film lovers in the country. Till date, the MAMI Year Round Programme in Mumbai has screened over 40 films which include Lady Bird, The Square, Zama, The Shape of Water, Three Billboards Outside Ebbing Missouri and Village Rockstars.